Welcome… We Love Your Curiosity! Search no more for antique period furnishings and prop rentals for your photo shoot, wedding, birthday, shower, or other special event! Whether you are looking for the details to add those special touches to your photo shoot or hoping to create a full-blown vintage affair – we are here to help! We work with the budgets of all individuals, designers, producers, coordinators, planners, and photographers to bring specific vintage visions to life! Uniquely Chic Vintage Rentals loves a beautifully styled affair, especially when we do the styling! We love learning more about you and your vision for the perfect event. Utilize our rental offerings as a basis and backdrop to your theme, and then we can accessorize and complete the look with our larger and smaller details – everything from elaborate bar setups to tiny vintage props. 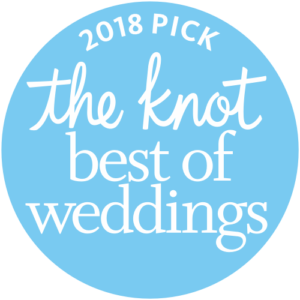 Our team shares friendships with a plethora of incredible vendors in the Southern New England area, and we are happy to collaborate and design your unique look for your special day! Our goal is not only to make your event beautiful and cohesive, but to take the worry out of the details. Even if you are not sure which direction you want to go – we will expertly guide you through the creative process with ease. Where is Uniquely Chic Vintage Rentals located? Uniquely Chic Vintage Rentals is a curated specialty events rentals warehouse, a sister company to Uniquely Chic Vintage, a custom furniture restoration, refinishing, and upholstery shop located near Providence, Rhode Island. When should I contact Uniquely Chic Vintage Rentals to start the rentals process? As soon as possible, we can’t wait to hear from you! Once you set a date and book a venue, give us a shout! Your date and event location will be a huge factor in determining what vintage rentals will be right or available for you. We are are often booked solid many months or years in advance during peak wedding season, so it is never too early to contact us! When should I reserve everything? As our entire collection is filled with beautiful one-of-a-kind pieces, we recommend reserving everything as soon as you have your venue booked. For weddings and large orders, reservations should be made four to twelve months prior to your event to ensure pieces are available. We suggest making your reservation as soon as possible, as rental demands are increased on weekends and during the popular spring and summer wedding months. In order to secure our rental pieces and delivery services, we require a signed Rental Reservation Agreement and a non-refundable retainer payment of 50% of your grand total. The remaining balance is due two weeks prior to your event date(s). We do not have a set price list. All of our rental inventory is individually priced, giving you the opportunity to choose as many or as few as you’d like. We do not publish a price list because we want to learn more about you and your event, first. All of our rental quotes are personally custom created for you based on each specific rental piece, the number of pieces, and location of your event. Please note: a quote or proposal is not guaranteed until payment is received. May I pick up my own rentals? Thanks for the offer; but unfortunately, no. Due to the fragile and delicate nature of our vintage and antique pieces, not all of them make good travel partners. For this reason, we do not allow our clients to pick up rentals from our warehouse. 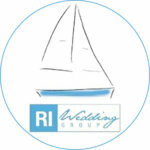 However, we do allow other wedding professionals and vendors to pick up rentals in some circumstances. Please contact us for additional information. Where do you deliver and what does it cost? Our local delivery area includes all of New England, including Rhode Island, Massachusetts, Connecticut, New Hampshire, Vermont, and Maine. We may also accommodate delivery to New York, New Jersey, and Pennsylvania as well! We will provide a custom delivery quote based upon the size of the order, complexity, and distance from our location near Providence, Rhode Island. This fee includes hand delivery, set up, and return pick up when the event is over. Standard delivery and pick-up times are 9 a.m. – 11 p.m., seven days a week. If needed, late night or holiday delivery services are available for an additional charge. Yes, we require a non-refundable 50% deposit along with a signed Rental Reservation Agreement, which includes putting a major credit card on file in order to reserve the rental items for your event date. Your deposit reserves your specific event date as well as the specific pieces you have chosen to rent. We are always adding new inventory (every week) and you are welcome to contact us in order to swap, change, exchange or add new rental pieces (if available) anytime! We are here to work with you and make your event as unique as you are! Thank you! The Rental Reservation Agreement requires credit card information be provided. This credit card is kept on file ONLY, it is not charged for your rental deposit or balance, and is stored in assurance of damages. You can place an order through this site, via email: uniquelychicvintage@gmail.com, or by calling us at 401-309-1801. Let us know the names of the pieces and the quantities needed, along with the event date(s) so we can guarantee the requested pieces are available. After the verification of availability on the date(s) provided, Uniquely Chic Vintage Rentals issues a confirmation sheet requiring your signature and a 50% deposit. The signed Rental Reservation Agreement and the deposit confirms the reservation of your requested pieces for your special day! If you see Uniquely Chic Vintage Rentals has added a new piece to our collection (we do so every week!) you prefer for your special day, let us know! 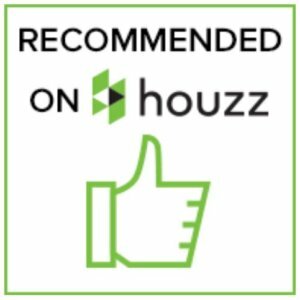 If there is the possibility of item substitution, or we can add the item to your original rental order, we are happy to do so! Yes, you may change your initial requested rental pieces up to the time your final balance payment is due, 30 days prior to your event; however, the 50% deposit is non-refundable. You may be able to change your requested rental items even within 30 days of your event as long as the requested inventory is still available, and as long as the new request is of equal or greater value. An additional deposit may be required to swap inventory. A 100% reservation payment for any additions to your original rental reservation is due at the time of the request. If any rental reservation changes occur, the original rental agreement and invoice will be revised and will require the client signature for approval. 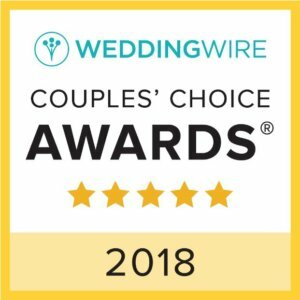 Uniquely Chic Vintage Rentals is all about making your special day seamless, easy, and accommodating. Uniquely Chic Vintage Rentals invoices electronically using PayPal and Quickbooks, which are secure, safe and confidential. We also accept cash, personal check, money orders, and bank checks. Get special pricing, including unlimited prop and furniture use on site. Email or call for details. Utilize Uniquely Chic Vintage Rentals for your planning needs with your client and choose from our many furnishings, details, and styling offerings. Email or call for details. You’ll receive special pricing on weekday and weekly rentals for all props and furnishings. Email or call for details.